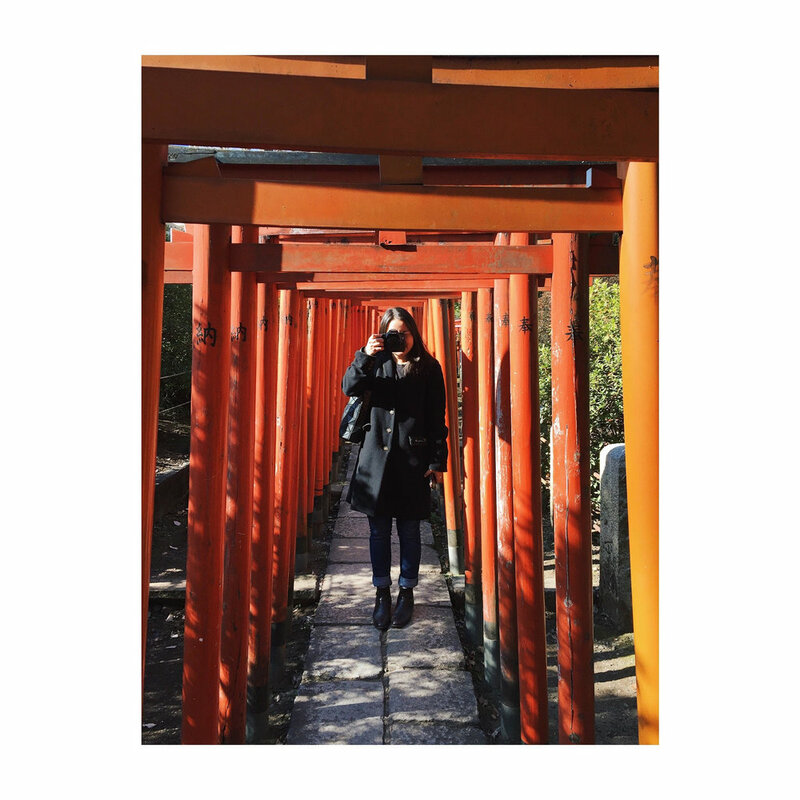 Even after living in Japan for over 2 years, I still seem to find new pockets of Tokyo that I have never been to before! 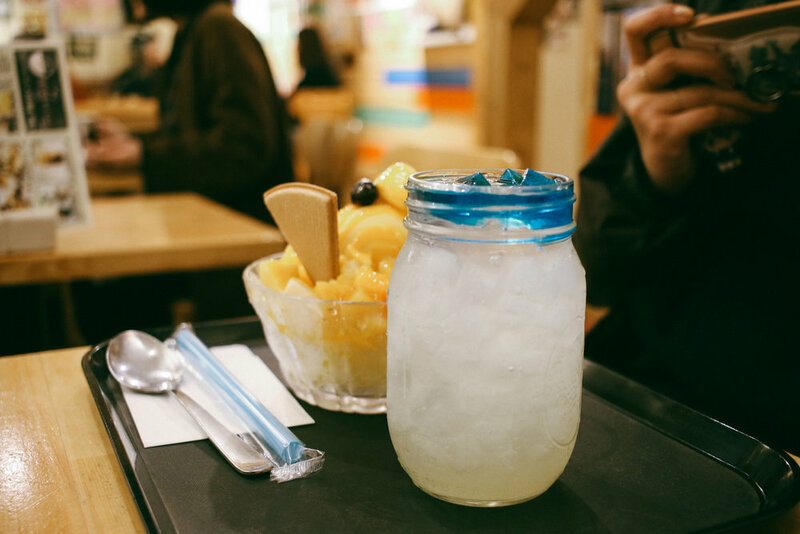 This time around I went to ShinOkubo, aka Korea town, with my two friends Kumi and Alison. We geeked out all on things Kpop, grubbed on the most delicious food, and went goo-goo-gaa-gaa over all the amazing cosmetics!! 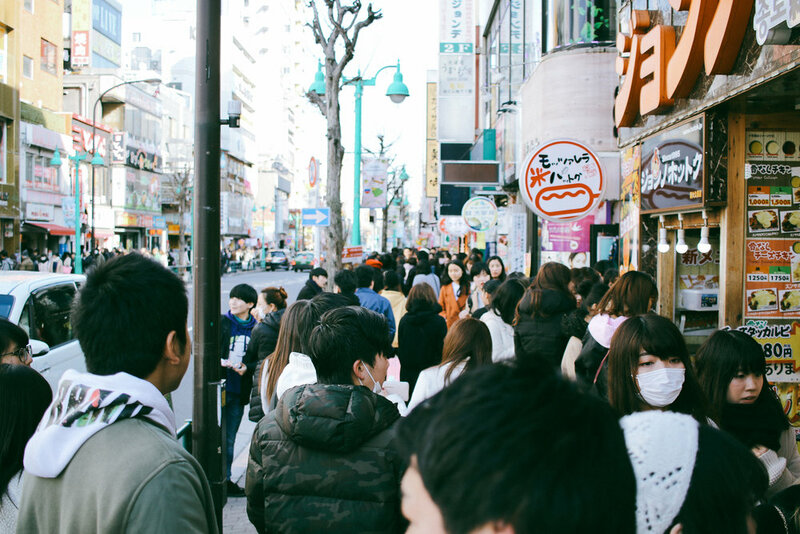 Shin Okubo is just behind Shijiuku, so pretty near the heart of Tokyo. 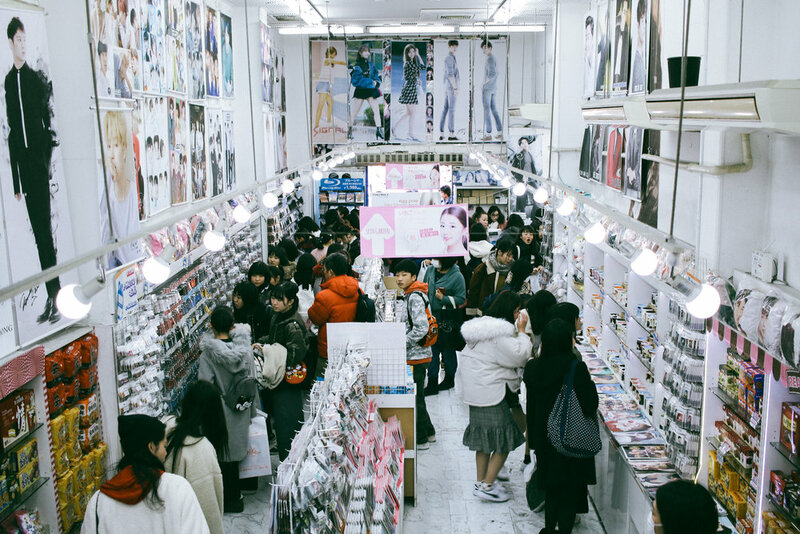 It's a relatively small area, but really popular with the young kids who love Korean culture! 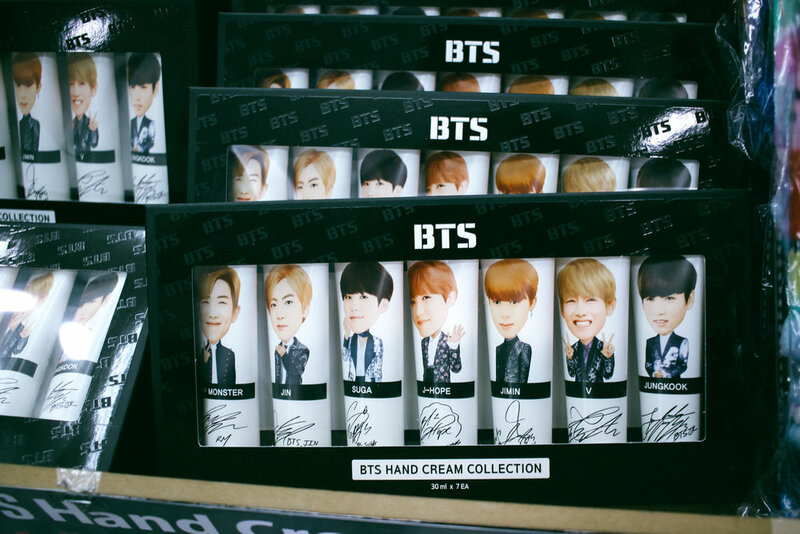 Our first stop was the main and most popular shop for Kpop gear...and right when we walked in I saw BTS HAND LOTION!!! HAHAHHA....oh my goodness. For those who don't know, BTS (Bangtan Boys) is a group of 7 boys from South Korea who have recently taken over the pop world and also my heart!! ahahah I really love them and my obsession is growing daily. I was tempted to buy this hand lotion set. Lord help me. 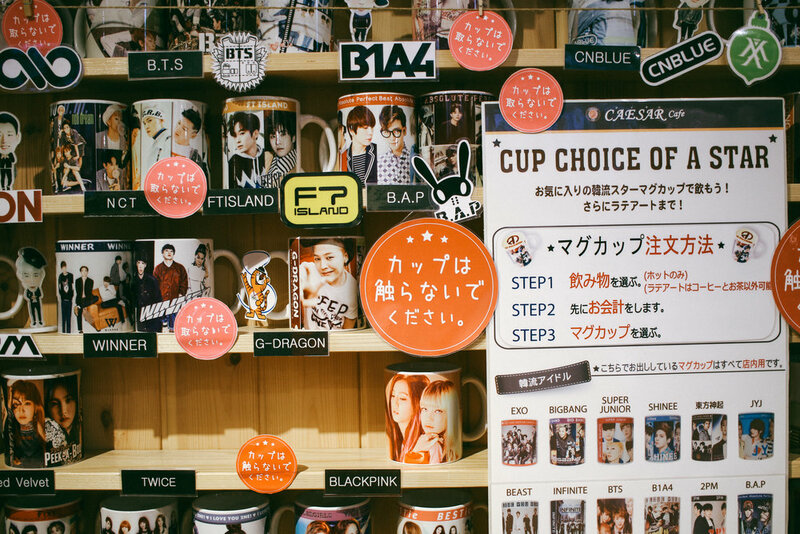 This store had everything from pins, flashcards, purses, sticker books, mugs...all with various Kpop groups faces on them. The aisles were packed with teenage kids and young ladies. It was a bit awkward when my hand reached for the same keychain as a 12 year old girl...uhh...hHAHAHAA. I have a favorite BTS member: Kim Seok Jin. HAHAHA Oh man, I can't believe I am writing about this. But yes, Jin is my favorite member of BTS which means I have a "Jin bias" according to Kpop fan-lingo. Thankfully, Jin is the oldest of the group (he's 25) so I feel much less weird about fan girling over him (the youngest member is 20!). I bought a pin with his face on it (wtheck am I gunna do with it?? idk) and also an alpaca keychain which is a character he drew. 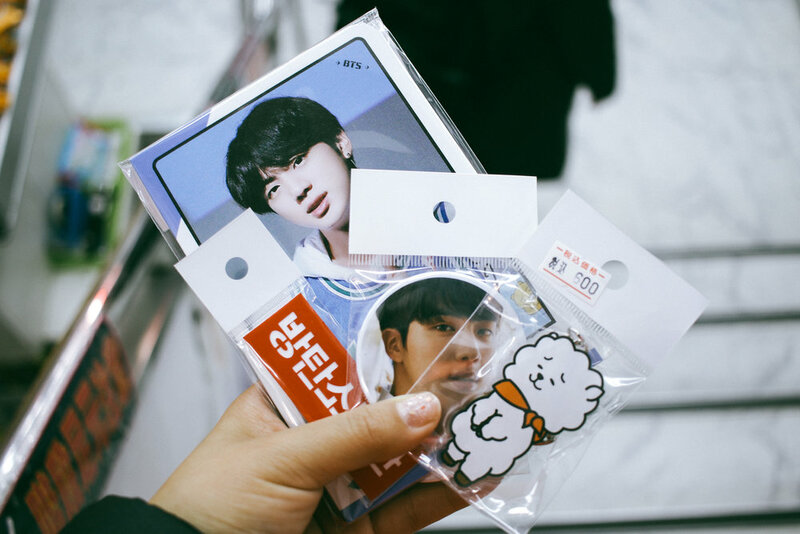 I spend like $30 on Jin things HAHAHAA. This was on a Sunday afternoon, so street stores were packed full! 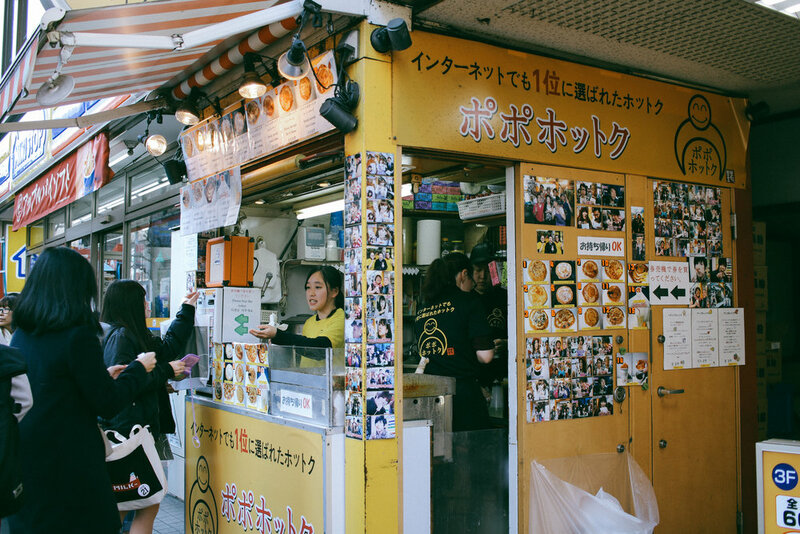 Kumi took us to this food stand for a good snack...she said it was really popular and sure enough, there was a line of at least 30 people waiting for a ポポホットク which is basically a friend sweet pancake with various delicious things inside of it like corn, honey, kimchee, red bean, etc. I always love when I get random people who look straight into my camera! 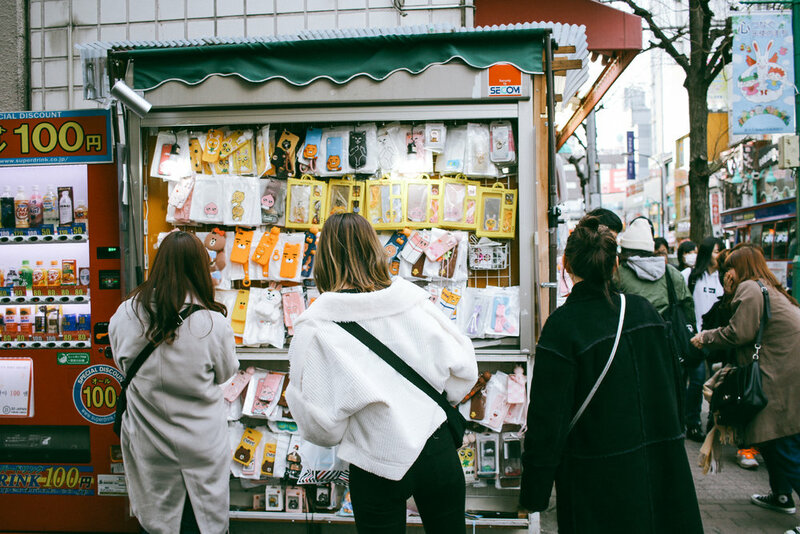 We stopped by the local Korean market and bought some yummy snacks. I finally got my hands on the spicy korean ramen noodles that everyone does youtube videos on (maybe i'll make one) and Alison bought some popular Korean Aloe juice. 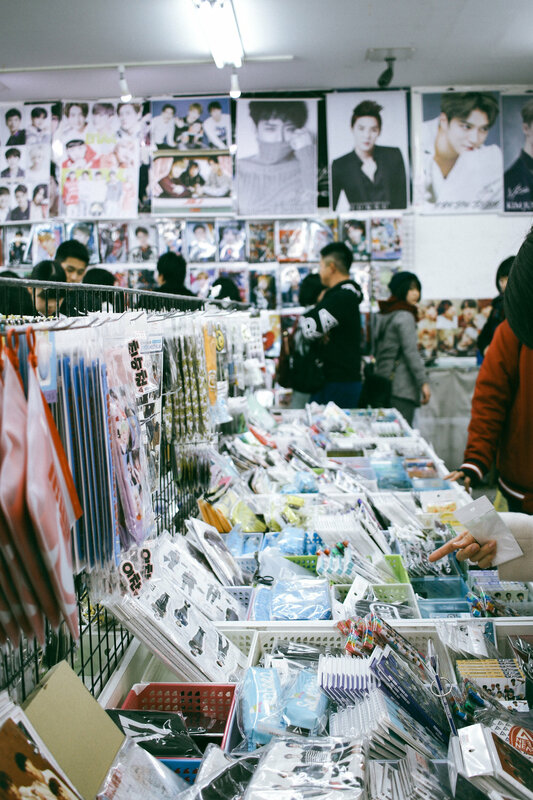 OK we all know Korea is famous for having a huge cosmetics industry...but I didn't realize HOW huge it was until going to ShinOkubo. 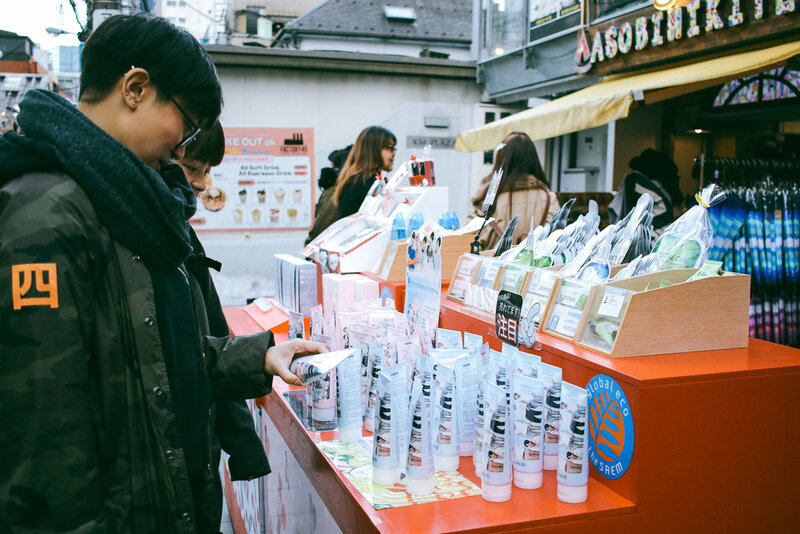 Every other store was a cosmetic store selling every and all kinds of goods...face masks, nail polish, whitening lotion, lip stain, etc. It was endless!! We ended up spending like 45 minutes perusing all the make-up and all three of us walked out with a bag of goods. After walking around and shopping...it was time to eat!! There were so many restaurant to choose from, all with advertisements hanging outside with the most delicious looking Korean food. It was basically impossible to choose one, but we ended up seeing a picture of a bunch of friend chicken melting along side two kinds of cheese and we just couldn't deny that. 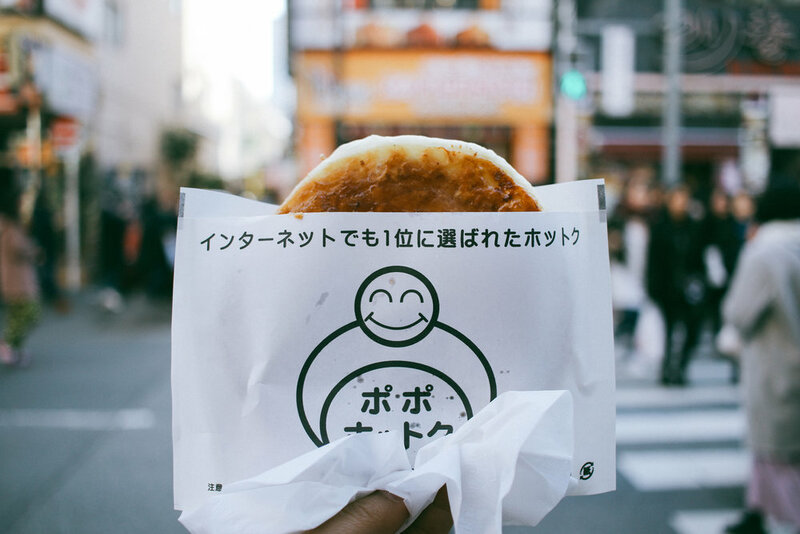 We ordered the チーズタッカルビ and ohhhhhh my goodness...we were in cheesey heaven. Kpop music was blasting on a tv in the background and we were definitely having the time of our lives. First off, we found a table in the back corner that was completely surrounded by pictures of Lee Joongi, a very famous Korean actor. We could not stop staring and laughing at all the messages and pictures of ONE MAN. hahaha! The best part of this cafe is you can order a Latte with your favorite bands Latte art on it...and it comes in a mug of their faces on it HAHAHA. WOW. 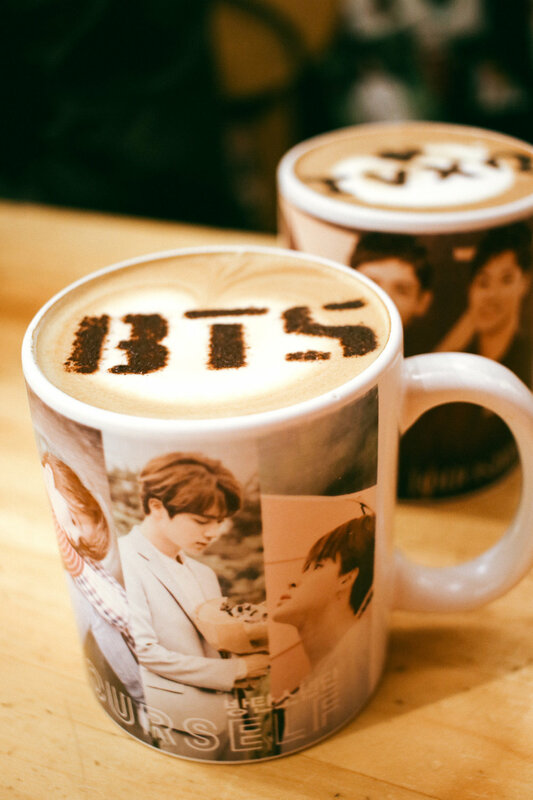 BTS and TOHOSHINKI mugs with their latte art on them HAHAHAHAH!!! This is saying a lot because...I don't even like lattes!!!! And here is all of the Jin things I bought LOL. 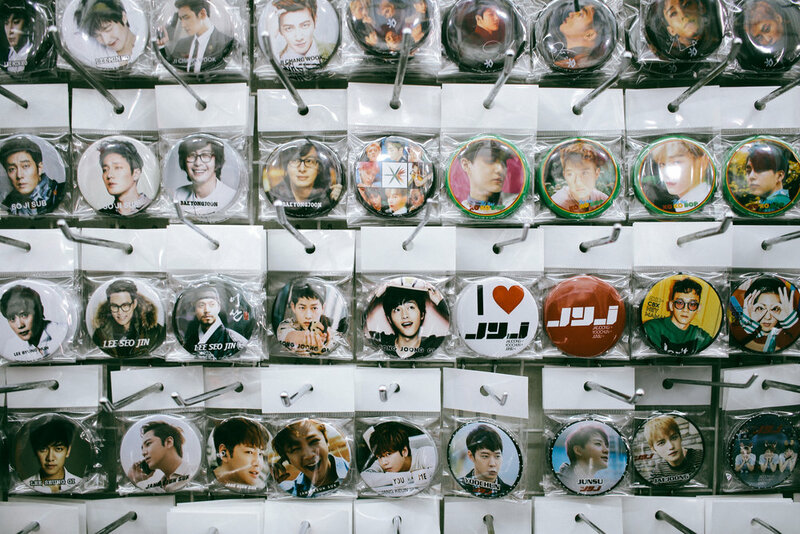 The square thing in the middle is a set of flashcards to learn Korean. I justified this by saying that it has Japanese on it so I can also continue learning Japanese too. 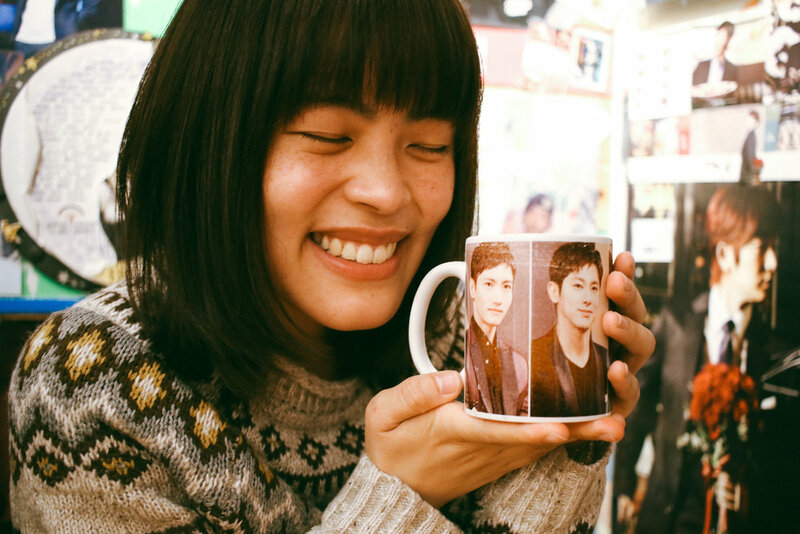 Kumi is a HUGE Tohoshinki fan (a duet from Korea)...so much so that she recently traveled to Osaka on a night bus by herself just to go to their concert!! dang. She was so happy to sip a latte out of their mug. 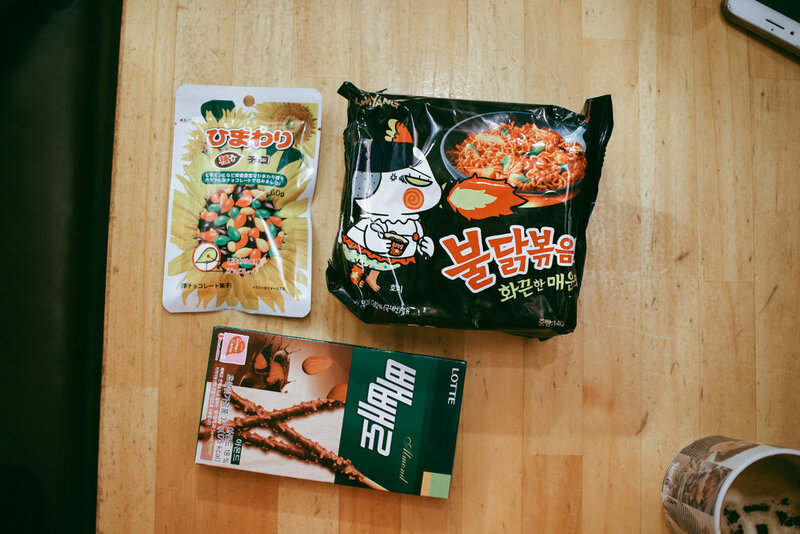 And here's the snacks I bought...chocolate covered sunflower seeds, yummy korean pocky sticks, and the spicy ramen noodles! And of course...the cosmetics I bought! The most amazing glitter eye shadow (LIKE, WOW), really awesome concealer, and the best lip color I have ever tried (which is actually not saying a lot since i've only tried like...2 LOL). OBSESSED!!!! 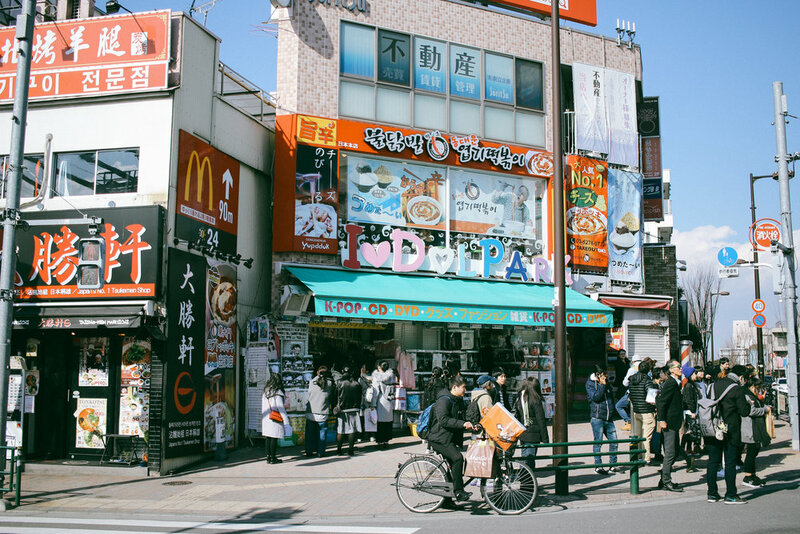 There you have it folks... a day in Shin Okubo aka Korea Town in Tokyo. What a magical, magical land. Now I just have to buy my ticket to actually go to Korea! !